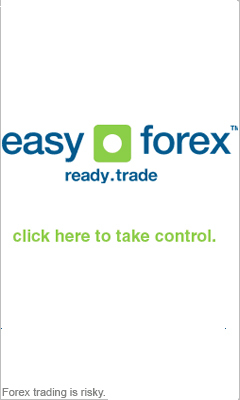 All foreign exchange trend-following methods have their own set of limitations. These approaches lag price movement, by showing us a change in trend after it has happened. Whipsaw effects can also arise where prices appear in trading ranges. This is where the Forex momentum indicator comes in, an excellent addition to your existing strategies for currency trading. The foreign exchange momentum indicator is used to predict a trend change & price reversal at resistance and support trading range levels. A foreign exchange oscillator, in comparison, comes from a group of indicators that ID a tradable as either oversold or overbought. The momentum indicator, as it was first presented by J.W. Wilder, has a couple of variations, 2 of which are the RSI or relative strength index and the momentum indicator. The typical ten day Forex momentum indicator oscillates around a neutral zero line, and is calculated by subtracting the closing point price of ten days back from the now current closing price. This indicator and RSI can both be utilized to enter and exit a trade. With the MI or momentum indicator, you’d go long when it goes above the zero line, and then go short when it goes below that line. Some forex charting packages shows the line in a different way, using another type of scale, such as 99.5 & 100.1 on either side of the line. This is not a problem as the exact same principles apply when it comes to the waterline. You also want to keep an eye out for when this FX momentum indicator turns and has a change of direction, and it’s also a good idea to always have a closer look at the transition angle. It is usually accepted as good trading practice to keep an eye out for signal confirmation. You will find this by inspecting other indicators, trend lines, and patterns, to look for divergences between price action and indicators. Also remember to closely observe how it behaves in and about pivot points. Technically speaking, the foreign exchange momentum indicator (MI) measures a tradable good’s speed or velocity of the change in price. The n-period (ten day being the standard period) indicator is derived by deducting the closed price n periods ago from today’s current closed price. FX Momentum is flat when the result is nil. Momentum is negative when the current closing point is less than the closing point was N periods ago. Furthermore, momentum is positive when the current closing point is higher than the closing point N periods ago.